Purity is a measure of how much of some substance is “what it says on the tin”. Potency in contrast refers to the dose necessary for a substance to exert its effect on the body. Ivory Soap, famously, is 99.4% pure. But its potency when ingested is far less than that of 1% pure heroin. One concrete area where this misunderstanding is influential and sometimes exploited for effect concerns methamphetamine. A prescription requirement for the pseudoephedrine-containing cold medicines that are used to make meth would virtually wipe out domestic meth labs. Opponents of this policy sometimes try to scare people by saying that the result would be an influx of “much purer” methamphetamine made without pseudoephedrine (PSE) in Mexican superlabs (PSE imports are banned in Mexico). Yes, that form of methamphetamine is purer, but it’s less potent and hence less dangerous than methamphetamine made from PSE, even before you count up the burn injuries, explosions and fires that small-scale domestic meth labs cause. I thought opponents of prescription only pseudophed generally argue that it would make life much more inconvenient and expensive for people who get allergies. I’ve never heard this “purity” argument on that score. It is remarkably stupid, though: Purity is a good thing in drugs, even, or perhaps especially, in illegal ones, where the impurities are likely to be bad for you. I will reserve judgment on Professor Humphreys’ moral character, but I am otherwise in complete agreement with you. If you wanted to bring out the strident libertarian in me, you could do no better than to impose a prescription requirement for the only truly effective non-prescription decongestant on the market. Phenylephrine, the active ingredient in the stuff you can still buy off the shelf, is vastly inferior to pseudoephedrine. 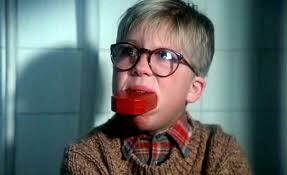 I don’t find it any more effective than a sugar pill. I am a lifelong sufferer from upper respiratory allergies, and I say get your damn government hands off my pseudoephedrine! And yes, the issue here is that ruining the lives of allergy sufferers because SOMEONE ELSE has a meth addiction is completely immoral. As one of said allergy sufferers, can I get off this bus? The restrictions on pseudoephedrine sales are certainly annoying but I would hardly say that they are ruining my life. I’d certainly like to see more evidence for diminishing the harm caused by methamphetamines before advocating prescription only sales but I hardly think it’s a position that raises one to the level of a moral monster. Especially since those of us with severe enough allergies to merit the phrase “life ruining” don’t have much trouble getting a prescription now. You’re defining the phrase “moral monster” down to the point of being moronic. Sometimes but not always true. Back in the mid-eighties, when I was spending a lot of time in Manhattan, I went with a one guy to retrieve the effects of a another guy who’d OD’d on heroin. As we walked to the squat where his friend had died, we talked about the circumstances involved. As it was told to me, the man who’d died had just returned from the west coast, where heroin was less pure. On arriving in Manhattan, he’d paid roughly the same price for roughly the same amount of “heroin” that he was accustomed to taking. There was a lot more heroin in his “heroin” than he’d expected, and when he shot up what he thought was a safe dose (probably on the large side, as he’d been without for some time, but I’m guessing here), he OD’d and and died. So purity is good when you know what you’re getting. When you don’t, it can kill you. We never did find the leather jacket the guy was trying to locate for the dead guy’s twin brother. He did still buy me the slice of pizza he’d promised me for going along. Good pizza + bad afternoon = educational experience. I hate to ask what may be a Meth 101 question, but how is domestic meth more potent than imported meth? Is it the chemical structure of the active ingredient? The nature of the impurities? PSE imports are banned in Mexico, so the trafficking organizations generally using the old phenyl-2-propanone method (which when it was popular was generally just called “amphetamine” but since the rise of meth is now called methamphetamine like its stronger cousion). In the U.S. we have PSE easily available in Sudafed allowing the more potent drug to be easily produced. Ah! So imported meth and domestic meth (when made by these two different methods [resisting wordplay here]) are actually two different chemicals. Ivory Snow was the product that used the “99 and 44/100 percent pure” slogan. And it’s an example of the same effect in reverse, because soap is by definition a mixture of ingredients, with no definitive formula, making purity a silly and unmeasurable concept. BEST Comment of the day! Thank you. Of course you are right, and I wondered when I searched for Dove Soap I could not find the 99 44/100% pure. Post updated per your correction. Please have your agent call my agent about a 10% royalty for the film deal from this post. FWIW, Ivory Snow is the laundry detergent (so named because it comes in flakes rather than granules). 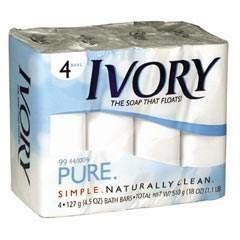 “99 44/100% pure” was the slogan for Ivory Soap, the bar (also dubbed “The Soap That Floats!”–which it no longer does). No such product as “Ivory Snow Soap.” How much of the royalty do I get? Sorry we are capped out on royalties, but how about a walk-on part as the blog commenter? We will get Clooney and Mirren to be in the scene with you. Whoa there!!! Ivory soap no longer floats? Have the planets slipped their orbits? Next you’ll tell me Coca-Cola is going to change their formula! Or Gilby’s gin no longer comes in a frosted-glass bottle! Following the New CokeÂ® fiasco of 1985, the Coca-Cola company touted its return to what was labeled Coca-Cola Classic, made from what was said to be the “original formula” for the beverage. I wondered then, and I wonder now: do people that easily forget whence the name of the product is derived? But “Dove is 1/4 cleansing cream!” Whatever that means. The urban legend is that the analytical chemist found 0.56% stuff that could not be characterized with the methods in use at the time (doing quantitative analyses is hard even now, and was way hard then), and instead of taking back the returned check the company turn the figure around and started marketing the heck out of it. Nowadays, of course, half a percent of random crud in a manufacturing process would be the kiss of death. I’d heard it (in my analytical Chem class, taken back in the late Eocene) as the impurity in Ivory Soap is/was about 1/2% air. The air was whipped in so the bar would float. Speakin of film rights, 9944% of males of a certain age in certain places can’t think of Ivory Snow without remembering another film. The phenyl-2-propanone route (reductive amination with methylamine) produces methamphetamine, not amphetamine. But the product is racemic, a 50-50 mixture of mirror-image molecules (enantiomers), only one of which is active. You can separate these, but it’s costly and difficult, so the mixture is “less pure” than that made from pseudoephedrine, which is a single enantiomer. What caused this meth crisis in the first place? Stepping away from the subset of the population that has severe allergies and probably sees a doctor for them on a regular basis, what about the broader population that just gets a cold now and then? If pseudophedrine were prescription-only, would they have to go to a physician, nurse practicioner, or physician’s assistant, pay a fee, and sit in a waiting room every time they are congested and want some relief? What is the dead weight loss of that activity? How many hours would health care providers spend on that instead of on more pressing health problems? What does this increased demand for clinician time do to health care costs? I’m not saying that going to an urgent care clinic is the most burdensome thing in the world, and I realize that they are already pretty heavily visited by cold sufferers. Still, I see no great advantage to public health if they have to act as gatekeepers to sudafed every time a cold or flu goes around. Surely the MDs, NPs, and PAs must have better things to do than vet patients for sudafed. It’s not, but it’s pretty miserable when you have a cold and just want to be asleep. I get colds. When I do, I like having Sudafed on hand, rather than having to deal with the hassle of getting a prescription and so on. Within the context of the assumptions made on this forum, I don’t think that your individual well-being is of much consequence. So what if you want to get rest when you have a cold? The more important thing is The Greater Good of public health. That is what the Very Serious People here care about. However, a prescription requirement for pseudophedrine still makes no sense even from the perspective of those here. It would force healthcare providers to spend a substantial amount of time as gatekeepers for decongestant during cold season, when they could be spending that time on other patients and problems. It would burden the system (ah, a collective well-being problem! ), increase costs, and require people who ought to be at home getting rest to go outside, expose others to their infection, and miss out on the sleep that is the best cure for their condition. There are over 100 over the counter cold medicines that do not require a prescription. Given how free doctors (in my experience) are with prescriptions for narcotic painkillers, I think it’d be fairly easy to get a script for pseudophedrine. I’m not convinced that’s the optimal answer, but if it were, I don’t think it’d be terribly burdensome, either. But maybe I’m wrong. I certainly had a hard (by which I mean impossible) time getting hydrocodone when I had muscle spasms in my deltoids and dreadlocks on my head. Previous Previous post: Urban Pollution Progress in China?